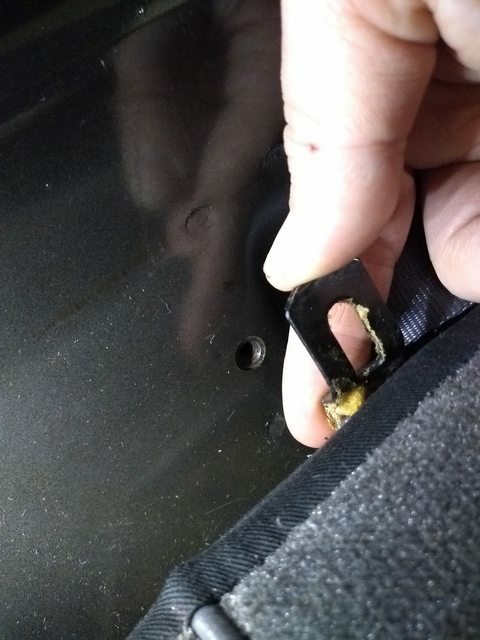 I'm about to reinstall my rear seat cushion bottom and I've noticed the center bracket isn't quite lining up. It's got a little kink in it, and I can't tell if it was originally like that or somehow I bent it with all the handling I've done with it while reupholstering. Maybe it's supposed to be oriented downward? Am I missing a spacer of some sort? 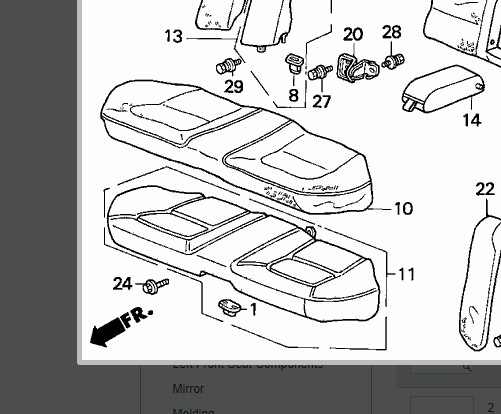 I don't see one in the diagram, but I do see the bracket flipped into the up position. I did check and the cushion appears to be down and fully seated (hehe). I haven't seen any pics of how it's attached and I removed it too fast when I took the seat out. No spacer in any one I'v ever taken out. It is usually bent up so that it sits flat against the floor at the hole; you'll have to lean on the seat some. Double check the front hooks. Last edited by fleetw00d; 04-04-2019 at 09:27 PM.